Hey all, first post here. Seems like a great community of people who really know their stuff! Picked up an '04 Arctic Silver 996tt coupe a few weeks ago. It's been a dream car for a long time coming, so I'm pumped to make it my own. It came with 997 turbo wheels on it, and to be honest, the look just isn't for me. Additionally a little more sidewall on a smaller 18" rim would hopefully help the ride harshness a bit. I really dig the look of the 18" OZ Allegeritas, but I need a little guidance when it comes to widths and offsets. It seems everyone who runs this rim has a slightly different offset and rim/tire width combo. 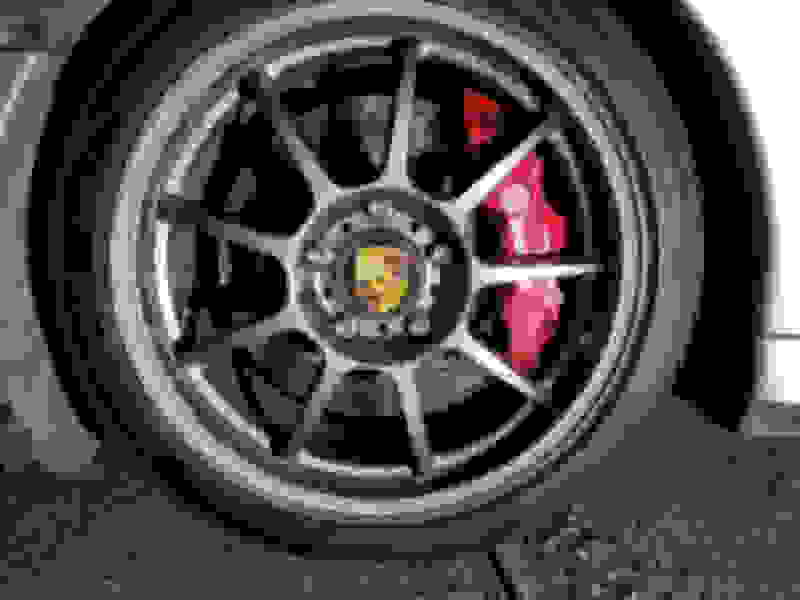 Are there any general guidelines to spec'ing rims + spacers (if needed) for the 996tt to ensure a good fit with no rubbing? i think mine are stock size and offset with 6mm spacers. i am also running stock size pilot sports. Great tires i have 20K with a track day on them and quit a bit still left. Thanks Third-Reef, super helpful. Looks like they clear the 6 pots as well. Out of curiosity, how did you determine to use 6 mm spacers? I like OZ wheels and have the Superforgiata's on mine, very light and super strong. 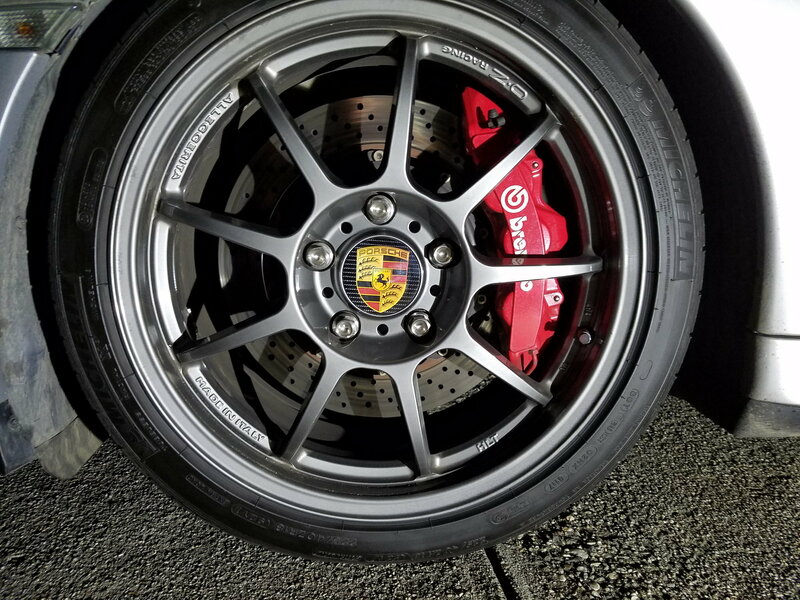 As for tires, I am all for Michelin, Pilot Super Sport 4s if you expect to drive in the rain and cold weather (40F or below), Cup 2 tires if you drive in the dry and above 50F. I agree, Michelins are great tires, but the PS4 isn't available in a 295/30 or 315/30/18. Assuming you're running 19s? benschwe, one of your first decisions will need to be 18" or 19". After that, what's your use case? Commuter, canyon carver, autocross, etc? I've chosen to stick with 18s. My car's not a daily drive, so I'm running Yokohama Advan AD08Rs, they're great on the backroads and in the coastal canyons. Very sticky / aggressive tire. I'd expect to see 8-10K miles, but they got howling loud as they approached their half life, definitely not as plush riding as Michelins. I've heard of ZERO complaints from guys running stock 18" sizes with Michelin PS2s, which are the factory spec tire. They are also available in 315/30/18, so you can go for the GT2 spec if you so desire. Lots of choices for wheels, so I won't even go there. Hey Road King, I'm pretty set on 18". Use case will be weekend driver, mix of city and highway, so I guess more on the canyon carver side, at least in the near (1-2 year timeframe). I do have a set of used PSS10's coming my way soon, so whatever wheel/tire combo I get I'd like to make sure wouldn't have any clearance issues with those, especially with a bit of lowering to get the stance right. You see any risk to running the with OZ's? A friend of mine is running GT2 spec 235/40 & 315/30/18 combo on those OZs. Looks great. Not sure which coilovers he's running but the car is pretty low. Michelin PS2s come in the GT2 sizes, will definitely yield more sidewall, esp. out back. Message me as we can outfit you with wheels and tires for the 996 with proper fitment and no rubbing. 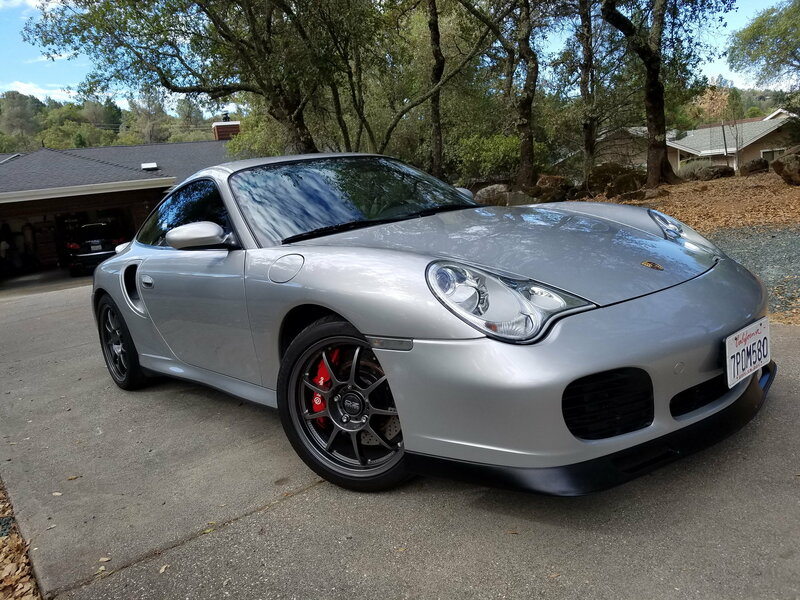 I just listed up my CCW wheels and OEM 996 GT2 wheels for sale in the classifieds section if you are interested! Thanks for all the replies! Ended up going with Z06Ven's CCW's. Gonna have them powdered coated gloss black and get them on later this year. Cheers! Wheel and Tire recommendations for V8 Vantage? 996tt Winter Tire Recommendations ?